Top 20 Canadian Real Estate Agents on Social Media - PropertySpark Inc. Since the American housing bubble burst in the late 2000s, the real estate industry has battled to reclaim its former glory. 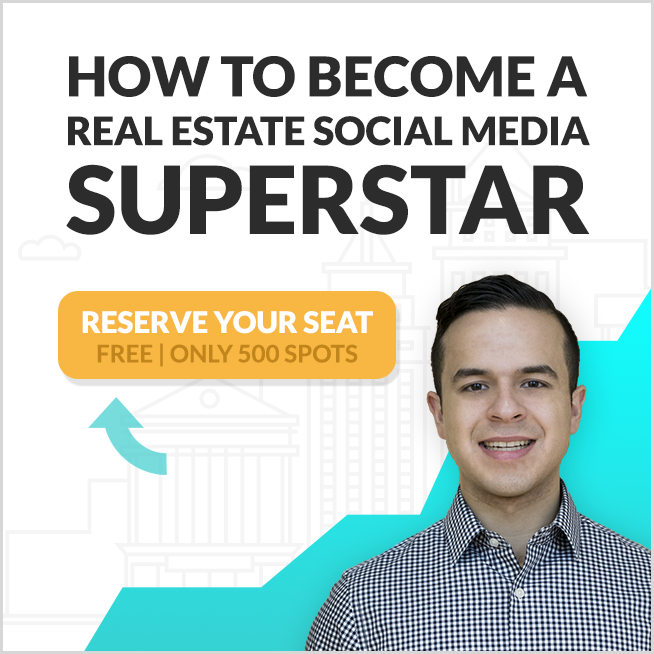 Evolving with the daily leaps in innovation and technology, some of the most successful real estate agents in Canada have achieved unprecedented results through the use of social media. As the following 20 Canadian realtors demonstrate, selling a house has never required more creativity and innovation than the present-day market. An “Instagram-worthy” photo of a staged house increases the value of original offers over 50% of the time, according to the National Association of Realtors. A well-respected Twitter account reaches exponentially more people in 140 characters than traditional listings. Sellers and realtors, take note. The real estate industry has been transformed, and these 20 men and women are leading the revolution in Canada. 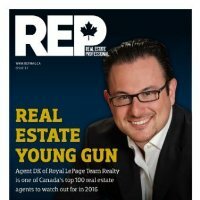 Founder of Grange Real Estate Inc. in Toronto, the young full-service boutique agency has settled firmly into the spotlight of the industry through Dwight Grange’s social media activity. With over 7,700 tweets and 490 followers on Twitter in less than three years’ time, Grange has ensured that his firm places the clients first, frequently sharing home selling tips for the benefit of the public. 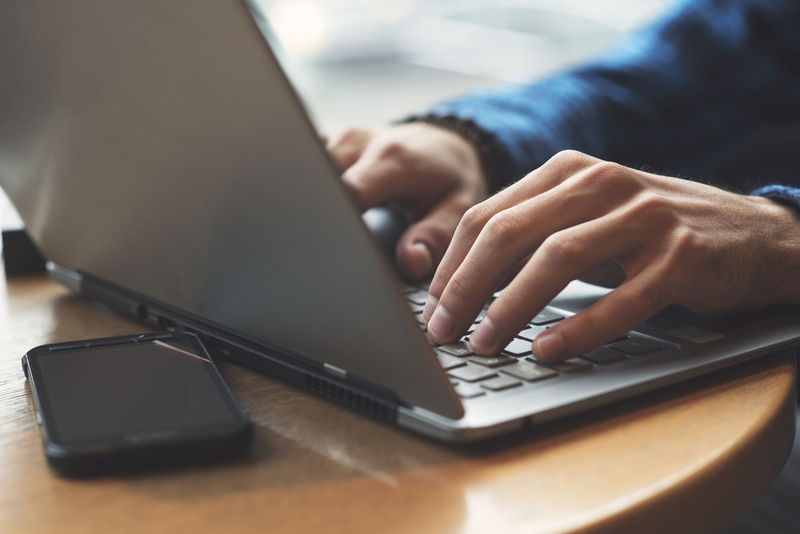 Grange also maintains a real estate blog on the company website, giving insight behind the scenes of real estate transactions. In a competitive market such as Toronto, Grange has risen above his fellow realtors on social media, directly reaping the rewards through his agency. If real estate had a Hall of Fame, Bob Dhillon would be a first-ballot entrant. A mogul in Alberta, the self-made billionaire is the founder of TSX-traded company, Mainstreet Equity Corp (TSX:MEQ). 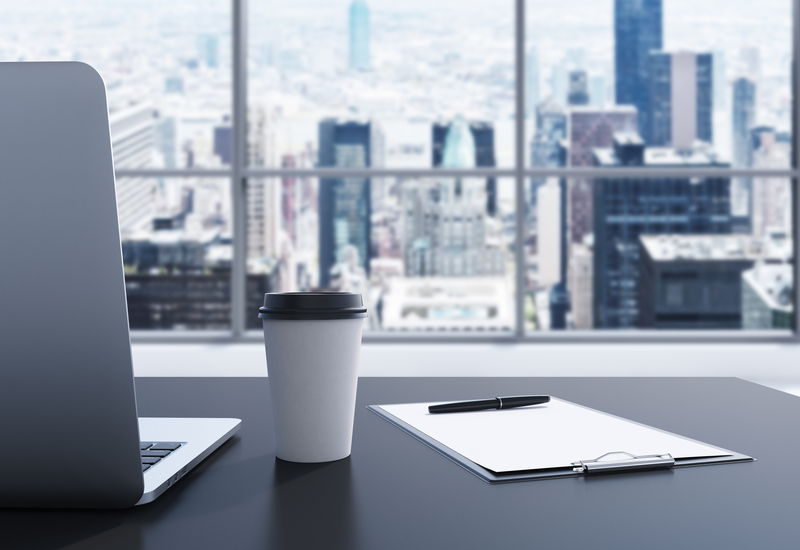 Showing a clear understanding of the evolution of the real estate industry over the years, Dhillon has continuously pursued the newest marketing strategies to launch Mainstreet to a new level. On Twitter, Dhillon has over 490 followers after joining the platform merely six months ago. His feed is dominated by real estate and governmental news and updates, ensuring that his followers remain up to date on the most relevant information for their real estate needs. 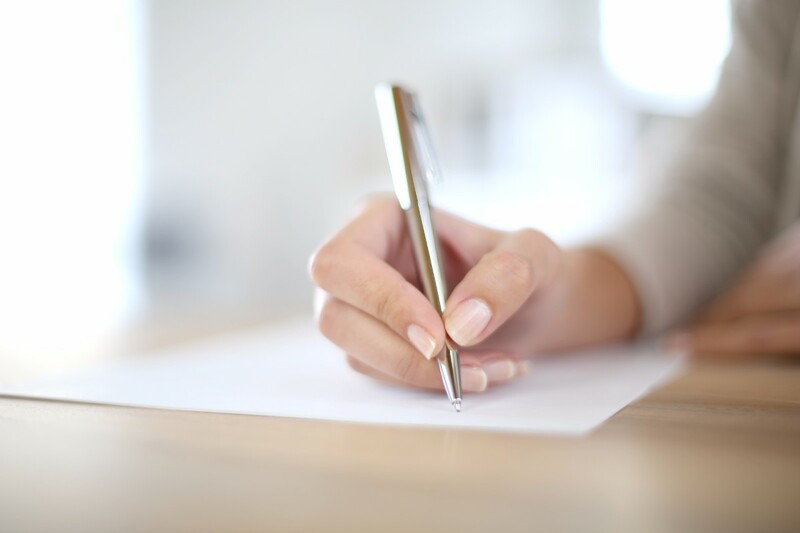 Through the establishment of a strong connection with his prospective clients, Dhillon has gained the trust and respect of the industry. 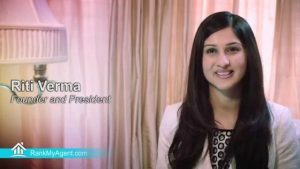 With over 730 likes on the Facebook page of RankMyAgent.com within a year, Verma appears to have developed a new way to simplify the selection process of real estate agents for the general public, and established herself as a strong presence within the industry for many years to come. 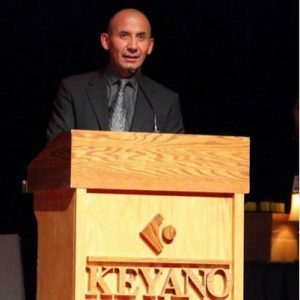 In the turbulent real estate market of Fort McMurray, Julio Florez found success by building a community. Equipped with his relentless work ethic and professionalism, he is often referred to new buyers and sellers by the existing clients, as the countless testimonials on his website will explain. A crucial part of this community was constructed upon social media. On Twitter, Florez retweets all matters relevant to Fort McMurray, and the pride he displays to emanate from the region is infectious. He also tweets in English and Spanish, reaching over 830 followers with updates of new listings. This strategy has propelled Florez into the most recent edition of Real Estate Professionals Magazine’s Top 100 Canadian Agents. Speaking of small towns and REP Magazine’s list, Shawn Zigelstein fits the billing as well. Conducting his business mainly in Richmond Hill, Ontario, the leader of “Team Zold” amassed over 760 followers on Twitter through a combination of informative tweets about the status of Canada’s housing market, home buying and renovation tips, and general neighbourhood news around Richmond Hill, Markham, and Vaughan. 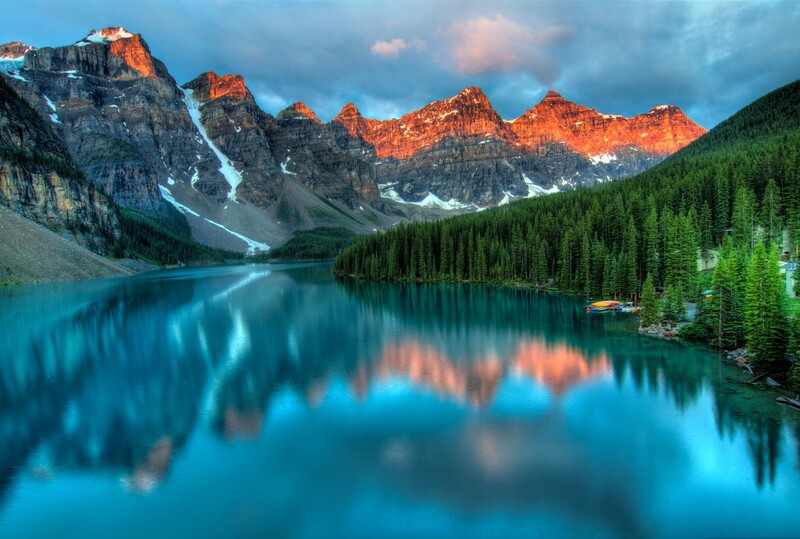 Zigelstein actively employs social media, in addition to traditional media, to dominate the markets north of Toronto. With consistent increases in housing prices of those regions, Zigelstein’s presence as a media darling will undoubtedly convert into increasing profits. Tiffany Sly understands the importance of wit on social media – just look at her handle (@SlyandtheCity). Combining the best of Instagram and Twitter onto the latter platform, Sly accompanies the majority of her tweets with bright and gorgeous photos of the property and the surrounding scenery, allowing prospective buyers to easily visualize the start of a new chapter of life. With over 760 followers and 4,600 tweets, Sly carefully manages her own brand on social media as much as she does with her listings, ensuring that both parties ultimately profit from the deal. Look no further for a perfect example of personal branding! One of the most active realtors in Ottawa, Dimitrios Kalogeropoulos manages to find ample time to manage his social media accounts. He uses his Twitter account to share details of listings and open houses, but also occasionally tweets inspirational quotes found on his Instagram account. Kalogeropoulos has over 980 followers on Twitter, demonstrating his influence in the Twittersphere. His aforementioned Instagram account is also impressive. Real estate listings interspersed with funny memes and determined quotes, his “agentdk” account has 255 posts and 530 followers. With such far-reaching impact on multiple social media accounts, Kalogeropoulous deserves to be named one of the top 20 realtors in Canada, as well as number 14 on our social media list. The first realtor to crack 1,000 Twitter followers on our list, Daniella Aitken is a highly successful agent from Oakville, Ontario. Some of her success can definitely be attributed to her social media presence, focusing on sharing Canadian news and real estate advice in addition to house listings. With over 1,090 followers, Aitken has been blazing a trail without wasting any characters. Her Instagram account is captivating as well. With nearly 450 followers, hilarious photos of her lifestyle can be found. Aitken’s informative approach on social media, topped with sprinkles of humour, has the Canadian real estate industry buzzing about the small town agent. 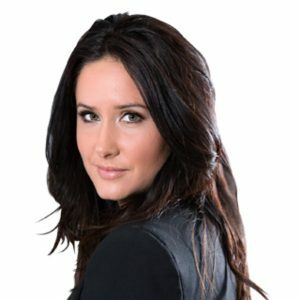 As the Founder & Sales Representative of Urban Lifestyle Group, this Toronto realtor takes a step beyond the traditional social media marketing, opting instead to revolutionize the industry with her “video marketing and online presence,” earning herself a place as a finalist for the Inman Innovator awards. Although Youngren has spent less time on Twitter in recent days, she still has nearly 1,800 followers, with an extensive network of fellow agents on the platform. Youngren’s time away from Twitter has been spent on Instagram instead, posting several times a day with photos of her daily life in TO and real estate listings. Clients have gravitated toward Youngren’s relatable approach, as her account has drawn over 2,400 followers. She has taught the industry that clients search for more than the promise of success – they want someone who is approachable and real. 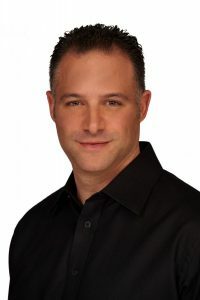 One of the agents of LuxuryBroker.ca, Roland Kogan understands his clients’ needs. Targeting potential buyers of his lavish listings, Kogan’s Twitter feed features aerial drone videos of the property and GIFs of photo montages inside the home. The beautiful display of his clients’ properties has attracted over 1,400 followers on Twitter with just 116 tweets, leaving the industry begging for more from Kogan’s account. His Instagram account serves as an extension of Twitter, rightfully delivering more stunning photos in place of traditional listings. 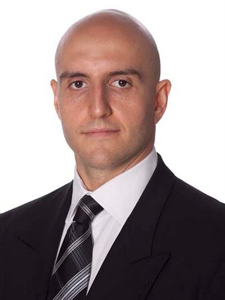 With 637 followers on Instagram, Kogan has proven success across multiple social media platforms, serving as a key to continual recognition as one of Toronto’s best agents. Calgary is an excellent place for success in the real estate industry, and Sam Corea is one of the leaders of the scene. Honoured as the #1 RE/MAX agent in Calgary, Corea engages his nearly 1,500 Twitter followers with real estate statistics, open house details, and videos of himself on CTV Calgary. The professional approach that Corea has taken on social media establishes the reputation of a reliable and motivated realtor, and one that clients can trust. Add that to the fact that Corea gives back to the community by teaching classes on marketing and sales, details of which can be found on his Twitter feed as well, and Corea has constructed a success formula worth imitating for other realtors. Coming from the nature-rich city of Vernon, British Columbia, Lisa Salt, one-half of the Salt Fowler Team, has undoubtedly become the top realtor in the region through her social media engagement. Salt uses her Instagram to share a personal side, posting photos of her daily life to allow prospective clients to understand the realtor. On Twitter, it is business-heavy, with the majority of tweets promoting real estate listings. The strategy has worked for Salt, to which her 560 followers on Instagram and nearly 2,000 Twitter followers can attest. Salt advertises her team on Twitter as “a top technologically advanced” team, proving that she understands the importance of social media, and more importantly, how to take full advantage of it. The Bedford realtor’s passion for the real estate industry seeps through each of her Instagram posts, as 432 followers receive beautiful daily photos of interior designs of houses, exterior night shots of latest listings, and even new homes under construction. Most of her posts are tagged with #Bedford, ensuring that anyone searching for the suburb in Nova Scotia will immediately be enticed by her photos. Jacqui Rostek’s community-building activities continue on Twitter, with over 20,000 tweets and 2,800 followers. 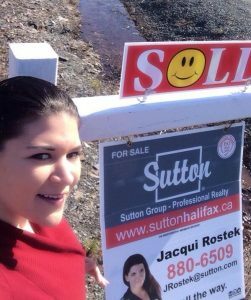 As Rostek’s life motto goes, “life is what you make it, success is for those who work for it,” and her involvement in the real estate market in Nova Scotia and nationwide has been clear evidence of the work that has led to her overwhelming success at a relatively young age. 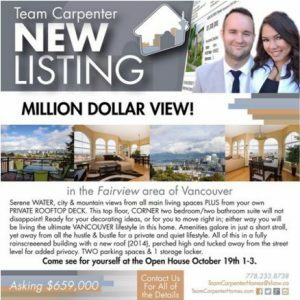 The duo from Vancouver, also known as “Team Carpenter Homes” on social media, has dominated Instagram since joining the platform four years ago. 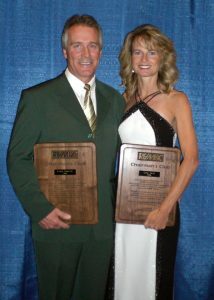 Although Julie is the main realtor in the pair, the team’s success is also brought upon by marketing expert Trevor. As a result of their efforts, the account has earned over 1,600 followers, at a time when many realtors struggle to gain traction on Instagram. Team Carpenter Homes uses a unique combination of posts on the social media platform. In addition to colour-edited and filtered shots of different homes and landscapes to beautify the feed, the pair also consistently uses an infographic template for their listings, giving a tagline to every post, as well as the location and all details that would be found in a traditional listing. Their innovation has led the pair to the summit of the city’s real estate industry, and much like Vancouver’s housing market, they show no signs of slowing down. 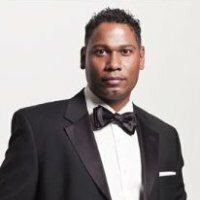 As the founder and CEO of PropertyGuys, a platform enabling homeowners to list and sell their property directly to potential buyers, Ken LeBlanc represents a new wave of disruptive realtors who are attempting to innovate new ways to streamline the real estate experience for the general public. LeBlanc’s personal Twitter takes great pride in his team’s work, often sharing news and achievements involving PropertyGuys employees, which has accumulated nearly 1,000 followers. 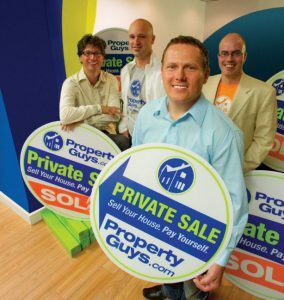 On the business Twitter of PropertyGuys, LeBlanc has extended his belief in new technologies, using the platform to advertise the business through sharing of articles and events that the company attends, such as career fairs. With the account gathering followers just south of the 1,600 mark, there is undeniable success in the use of social media, especially for creative startups that rely heavily upon technology. As one of Inman News’ 100 Most Influential Real Estate Leaders, Michael Thorne resides in Langley, British Columbia, where he has a strong network of fellow realtors who pay attention to his words. As the co-host of Mobile Agent TV, a video and podcast series that feature “cutting edge insights in the real estate industry for RE/MAX agents coast to coast,” Thorne has adopted the video marketing aspect of social media to great success. With over 100 episodes of Mobile Agent TV, the show continues to be an unprecedented place for realtors to share information with one another in hopes of improving RE/MAX’s standing in the real estate industry. Thorne’s time on Twitter appears to be spent mostly on the show’s account, which tweets to over 2,600 followers since joining the platform in 2013. A recent viral sensation from the real estate industry, which, in itself, is a rare string of words, Patricia Houlihan achieved national fame from the great city of Vancouver. Even before her eye-catching creativity trended online, Houlihan was one of the top agents in the region. However, she became “sick of boring ads with all realtors saying the same thing,” and decided to take a jolly approach. The result? 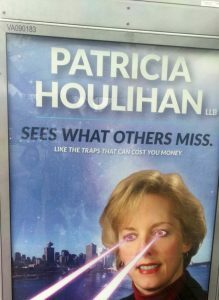 In May 2016, Houlihan posted an advertisement at a bus stop on Hastings Street and Rosser Avenue in Burnaby, according to CBC News, which showed her shooting lasers from her eyes in front of the city, with the words “Patricia Houlihan sees what others miss” plastered across the board. Reddit picked up the advertisement, and soon, the nation was buzzing about the creativity of Houlihan. Today, she is one of the most well-known realtors in the country, with 2,330 Twitter followers waiting to see her next move. 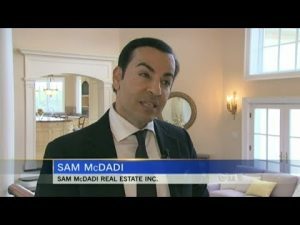 Few can defeat a laser-shooting realtor on social media, but Sam McDadi has managed to accomplish the feat. Leading the industry across virtually all social media platforms, even McDadi’s name is a cut above the rest of the field. Working in Mississauga, Ontario, McDadi can be found on Twitter, Instagram, Facebook, and even YouTube, working on multiple fronts to deliver the greatest value to clients and viewers alike. Within five years, McDadi progressed from zero social media experience to the proud owner of an extensive sphere of influence within the industry. On Twitter, McDadi shares real estate listings and his own YouTube videos with 3,500 followers, occasionally showing off his pride as a Toronto Raptors fan. His Facebook page has over 1,800 likes, with 41 reviews certifying a “4.8 of 5 stars” rating. McDadi’s Instagram account may be the most impressive, if only dwarfed by his YouTube channel, as his photos have caught the attention of 1,820 followers in less than two years. Finally, his videos on the streaming platform have earned 1,200 subscribers, who receive frequent tips from McDadi himself about housing. 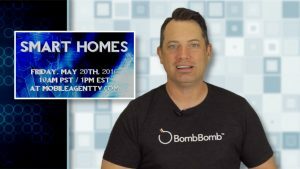 He also takes advantage of the subscription-based service of YouTube by developing video listings for his properties, giving a detailed look at the homes. With one of the best balances on social media, McDadi has trumped most of his competitors in the field, and is rightfully recognized as one of the most innovative and successful agents in Canada. The runner-up on our list is actually an entire brokerage, with all of Pope Real Estate’s agents earning honourable mentions. 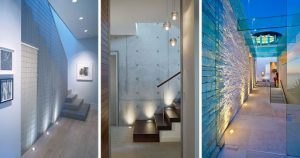 With over 10,700 followers on Instagram, the full boutique real estate firm posts some of the most stunning photos of Toronto, interior designs, and luxury homes in the business. Words can hardly describe the quality of Pope’s posts, but head over to “poperealestate” and find out what tens of thousands feast their eyes upon on a daily basis. In comparison, Pope Real Estate’s Twitter is far less impressive, but the account still has a commendable follower count of 1,820. The brokerage’s Twitter activity often continues to the trend of their Instagram account, but it also shares news of Toronto’s culture and announcements, fully embracing the pride of being from one of the greatest cities in the world. As one of the top luxury agencies in the nation, Pope’s expertise at attracting and impressing social media visitors is nearly unrivaled, and has spearheaded the ongoing expansion of the firm. Even on a list of some of the best realtors in the country, there must be a champion, and this honour is awarded to Cody Battershill of Calgary. Battershill is well-known throughout the nation for his personal branding, being recognized beyond his efforts in the real estate market. 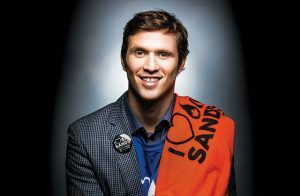 His fame stems from his activism and strong views on energy issues, a prominent and controversial topic in his home province of Alberta. As a “born and raised Calgarian” who founded “Calgaryism,” as his LinkedIn page eloquently promotes, Battershill loves his city, and his social media efforts ensure that he is recognized as such. Having been on the Board of Governors at the Calgary Real Estate Board, he has over 12,600 followers on Twitter, essentially cementing his status as a provincial, and even national, celebrity. His branding has led to appearances on TV, and for the past four years, he has worked as the most successful contributor in Alberta for the Huffington Post. After selling his first house at the age of 20 years old, as he revealed during an interview with Metro News, he earned entry into the MLS Millionaire Dollar Club, and has subsequently been inducted into the RE/MAX Hall of Fame, all before turning 35 years old. Battershill’s youth and ability to use social media as a tool for personal engagement and branding communication serve as the greatest proof of the necessity of social media in the real estate industry in today’s evolution. A realtor who is able to connect with prospective clients, effectively communicate their values and advantages, and provide unparalleled value beyond home-selling will rise to the top of the industry, and these 20 winners have shown that the modern agent’s most lethal weapon is creativity on social media. You ever see a Realtor with a cooking show? 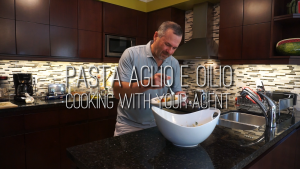 Well, Phil Battista has racked up tens of thousands of views with his famous “Cooking With Your Agent!” That’s right, he brings some of the best recipes to life on Facebook with his 1 to 2 minute cooking videos. It’s a unique approach to keeping in touch with all of his contacts and new fans!